It’s only recently that I learnt about Pay As U Gym and it really grabbed my attention because I am a gym goer but recently I haven’t been using my gym as much as I would want to. And that’s not because of laziness, it’s just because I’ve been active in other ways (by cycling to work, for example). 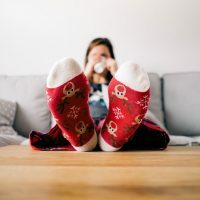 I know that there are many people out there who sign up with the gym and after the initial excitement and drive their motivation drops and they kind of stop going to the gym, but they are still keeping their membership because they do want to get back to exercise eventually (when they get motivated again!). There are also people out there who signed the contract with their gym and they cannot get out of it. They just have to continue paying for it although they don’t use it that much (or for some reason they cannot use it – due to illness or injury). 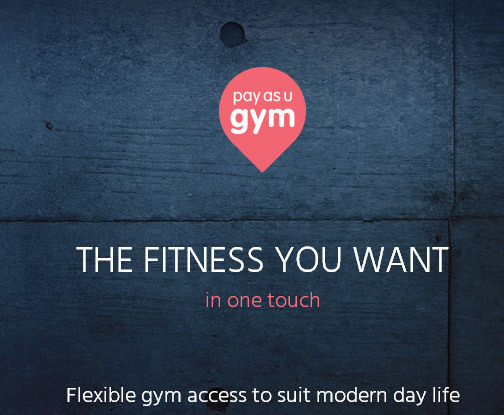 I think Pay As U Gym is a brilliant service which solves many problems people have with gyms these days. There is no contract involved, no admin fees, no induction and you can cancel any time. So how does it work? First of all, you need to go to Pay As U Gym website and enter your postcode in the search box to find all the gyms in your area which are participating this scheme. I can really imagine myself using this service. I sometimes travel to Manchester or London and while I am there it would be great to hit the gym for a quick session. This service is also great for times when you don’t use your usual gym that often. Maybe you are spending lots of time outdoors running or cycling (like me!) and you go to the gym just for using weights. In this case, is it really worth being a member? How much do you normally pay per month? You just have to do your calculations and see whether Pay As U Gym will actually save you money. Also to mention that on Pay As U Gym website you can also search for classes and swimming pools in your area, however at the moment I cannot see that many venues offering this kind of activities (when looking at my area, but big cities should probably have more options). Whatever pass or class you decide to go for, you pay it online. You will then receive an 8-digit passcode via SMS and email which you take with you to the venue (you also need to bring some ID with you). Another great thing about this service is that you get credits for referring your friends, isn’t that cool? All in all, I love the whole concept and no doubt I will be using this service in the future. Have you heard of Pay As U Gym before and have you ever used it? I would love to hear your experience. I’m professionally gym trainer and i love to do exercise and i think this blog helps me a lot.